Spectacular sunrises and.peaceful sunsets are some of the things that make this a hidden gem ..... just a short drive from the hustle and bustle of downtown Oxford. 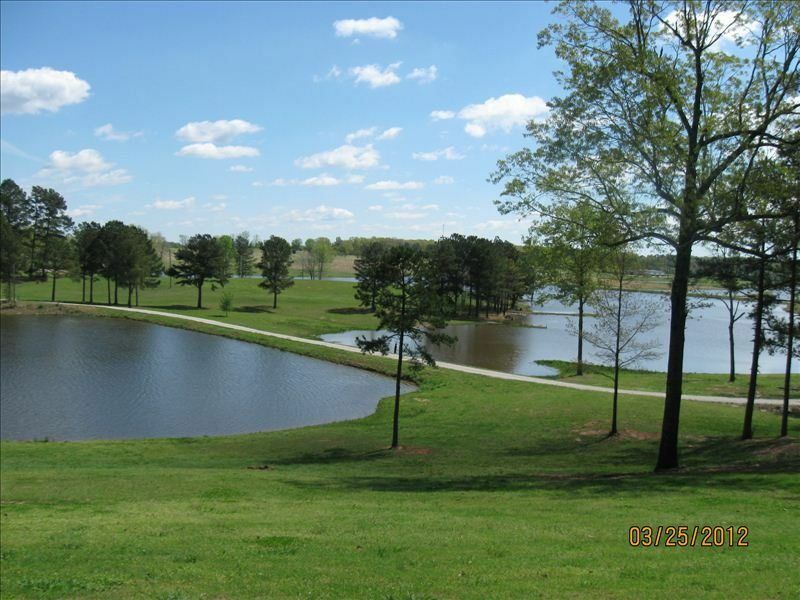 If you are looking for a place to put up your feet and enjoy a view of your own private lake this is the spot.. Runners and hikers will absulutely love the manicured trails that wind through shaded woods and rolling fields. Fisherman will enjoy numerous ponds stocked with trophy bass, croppie , catfish and brim....We suggest that serious fisherman bring their own equipment !! The most unique quality about our location is the absolute tranquiity and privacy that one experiences after driving throught the main gates to the property. The terrain is spectacular and the numerous lakefront views unforgetable. Guests can enjoy fishing in a large variety of lakes , walking on endless miles of well manicured trails, or relaxing on the patio with an exquisit lakefront view. Large bathroon with jacuzzi tub, shower and incredible picture window woth view of private lake. WHAT A PLACE! Clean, private, quiet, safe and has everything you need. Owner is so helpful and kind. We were on the property in November and heard and saw Canadian snow geese - was an incredible sight. Property is about 30 minutes from Oxford. We will be back! This was a very nice clean place with a lot of privacy as it is surrounded by woods, open fields with rolling hills and several ponds. The property is beautiful and the house is very charming. The view for morning coffee is amazing. Alex is a wonderful hostess. She met us at the gate and took us to the guest house and was readily available for our stay. The property is secured with a coded gate, so we felt safe even when we came in late from a football game. It is a quick drive into Oxford. We had a wonderful stay and will definitely be back. Spectacular find! Will definitely be back! This place is a gem! Thoroughly enjoyed our stay at Coolwater Farms. The farm is a quick and easy 25 min drive to Oxford and is the perfect place to relax if you are visiting. We fished every day, catching a bass on our first or second cast of the day twice. The cottages are extremely comfortable and offer great views and ample privacy. Alex and her husband are spectacular hosts and the property is amazing. The pictures of the do not do the place justice. We arrived very late after a long drive. The house is just perfect and we woke up to a beautiful setting! Very serene! I only wish we had more time to spend on the grounds there. If you are looking for a peaceful retreat, this is it.